CWG is one more embracement and blot for the country. This turned out to be another money making project and may be one of the biggest corruption in this country. Kalmadi was arrested by the CBI on April 25, 2011, for fraud and for conspiring with other officers of the Organizing Committee to overpay a Swiss firm Rs. 95 crore for timing and scorekeeping equipment that was used at different venues during the Commonwealth Games. A few weeks before the Games began, the media began reporting on what seemed to be systematic corruption among those in charge of organising the event. A glut of contracts hired the most expensive firms to provide equipment and services. Competitive bids were ignored. Mr Kalmadi denied all corruption charges, but he was also confronting questions about the overwhelming lack of preparedness for the Games. The budget for the event had been busted several times over. But there seemed to be little to show for it. Amid international criticism, Mr Kalmadi was sidelined by the government and Delhi Chief Minister Sheila Dikshit and the Army were asked to get the capital ready. It was the Athletes Village that embarrassed India more than any other aspect of the Games. International delegates touring the venue found filthy toilets, dogs' paw prints on bedsheets and ceilings that were leaking water into the apartments. What helped India recover from the PR nightmare was the spectacular Opening Ceremony. But the public had by then developed a strong distaste for Mr Kalmadi's efforts to assume centre stage. 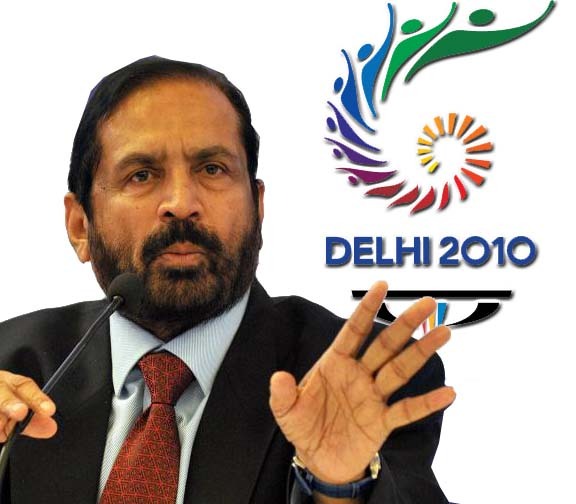 At the closing ceremony, as he delivered his speech, Mr Kalmadi was heckled. When he referred to Rahul and Sonia Gandhi, the Congress party president was seen shaking her head in disapproval. The Prime Minister hosted a tea reception for Indian athletes and pointedly excluded Mr Kalmadi from the guest list. Mr Kalmadi will have to explain why he chose AM Car and Films to provide taxis, portable toilets and big public TV screens for the Queen's Baton Relay that was held in London in September 2009. The function kick-started the Commonwealth Games and saw AM Cars and Films making huge profits. For example, the firm charged upto 500-1000 pounds a day for taxis. The owner, Ashish Patel, whose financial background was sketchy, had been paid large advances even without a signed contract. When asked why, Mr Kalmadi said there hadn't been enough time to process the formalities. Discrepancies in tenders and alleged misappropriation amounting to about Rs 8,000 crore.